A dental crown is a tooth restoration that Dr. Vong may recommend if you have a tooth that is badly damaged by extensive tooth decay or a severe injury. The crown fits securely over the remaining tooth structure, restoring both form and function. A dental bridge is an oral appliance that is commonly used to replace a missing tooth or a couple of consecutively missing teeth. In this case, the bridge is anchored with dental crowns mounted on adjacent healthy teeth. Dental crowns and bridges are versatile restorations that Richmond, TX dentist Dr. Vong can use to repair and rebuild your smile. Dr. Vong will resize the tooth so that your customized dental crown will fit comfortably between adjacent teeth. Once in place, your crown will look and feel just like a natural tooth. While a dental crown can be used independently, a dental bridge needs the sturdy support of two crowns in order to function as designed. By itself, a bridge is constructed of one or more false teeth, called pontics. These false teeth literally bridge the gap in a row of teeth. Replacing missing teeth is always vital to your overall oral health, helping you avoid complications such as gum disease, tooth decay and shifting teeth. A bridge is an excellent choice that provides longevity, a natural look and permanence. But without dental crowns, a bridge is useless. A bridge must be attached to crowns in order to function securely. The entire device—crowns and bridge—are made out of one piece of porcelain or ceramic. Once Dr. Vong cements the crowns into place, the bridge can comfortably and aesthetically take the place of missing teeth. Caring for your crown and bridge requires a little bit of extra cleaning effort. You will need to floss underneath the bridge in order to remove particles of food as well as plaque. A special floss threader can be very helpful. 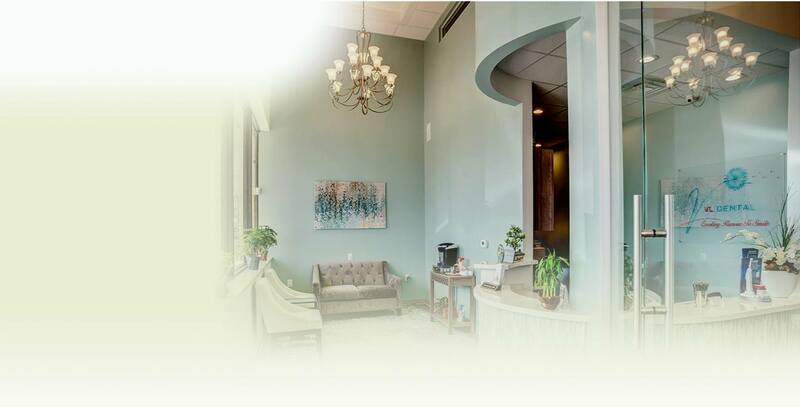 VL Dental is located in Richmond, TX and provides exceptional restorative dentistry to patients from Pecan Grove, Sugar Land, Rosenberg, Crabb, Booth, and beyond. Call us today to schedule an appointment.